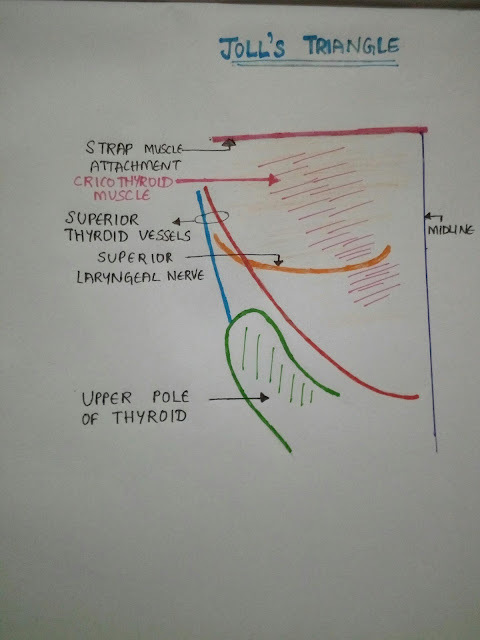 This post is about the importance of Joll's triangle in thyroidectomy. Joll's triangle is used to identify external laryngeal nerve during thyroidectomy. 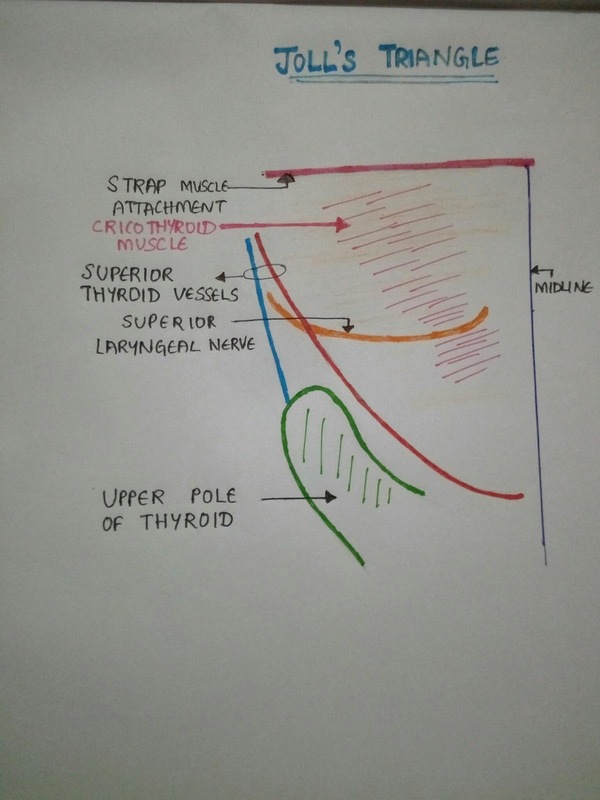 Laterally: Upper pole of thyroid gland and superior thyroid vessels. Superiorly: Attachment of strap muscles and deep investing layer of fascia to hyoid. This triangle contains superior laryngeal nerve which gives rise to external laryngeal nerve.